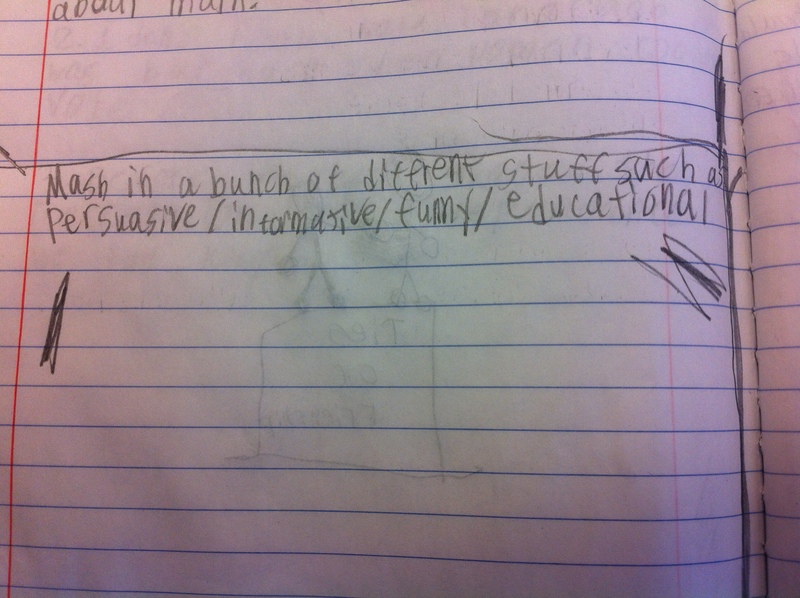 A couple of years ago, I posted about talking to my niece and her fifth grade class about audiences on- and offline. This week, in a graduate course I am teaching, the topic of teaching about online interaction and audiences with elementary students was raised...and I realized I never hit "post" on this companion post. So, here is a major #tbt to something that has been sitting in draft mode for too long. 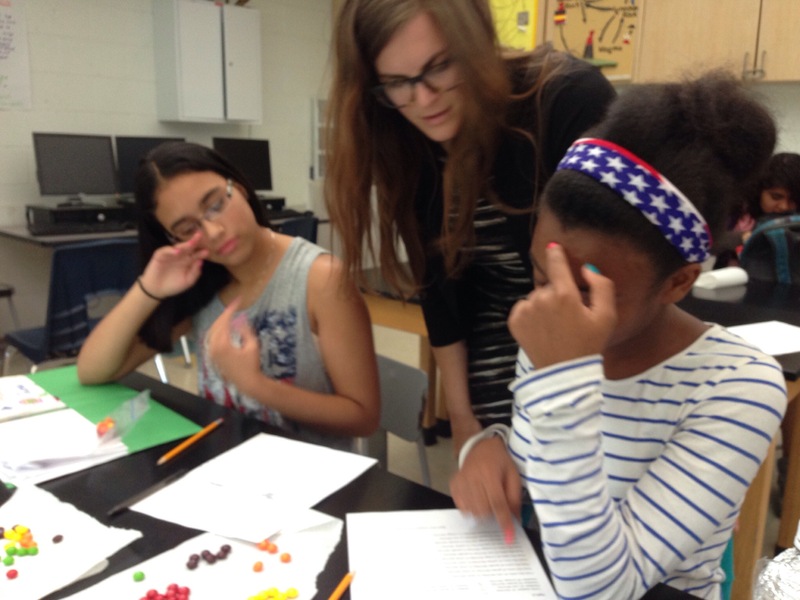 A couple of years ago, I had the opportunity to talk with a fifth grade class about audience using a mini-lesson and guided practice that is probably familiar to many teachers. We then extended that discussion into considering what writing for an audience means in contemporary times. 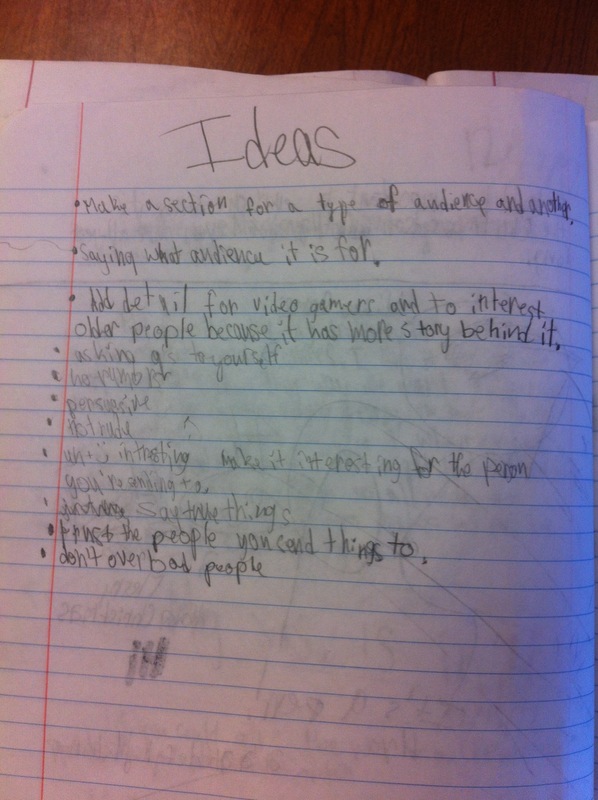 The young people in that class shared great advice for the demands on writing in a digital, networked age. We talked through the criteria the school was using in on online writing platform and saw that depending on the audience, every aspect of a piece of writing might change depending on the audience. What does the audience need to know from you? What background information do they need? What sort of evidence would convince them? Would they appreciate a detail or find it distracting? Should it be personal or distanced, humorous or serious, formal or informal? Should you use jargon and slang? Should you use long, complex sentences or short, simple ones? Realizing this, we had to try our hand at it. We brainstormed topics that everyone in the class was interested, and landed on video games…and most importantly, having more time to play Minecraft at home. In groups of four, a representative came up to the front of the class and drew an audience from the hat. They discussed what would be most effective in their message, sentences, tone, etc. and got right to work, writing a message. Can you guess the audience? In a second pass they labeled what they focused on and changed given their intended audience. In a final pass, we read the messages out loud and the other groups guessed who the audience was. It was a lively and fun conversation. What is different about writing with pen and paper versus with a computer connected to the internet? 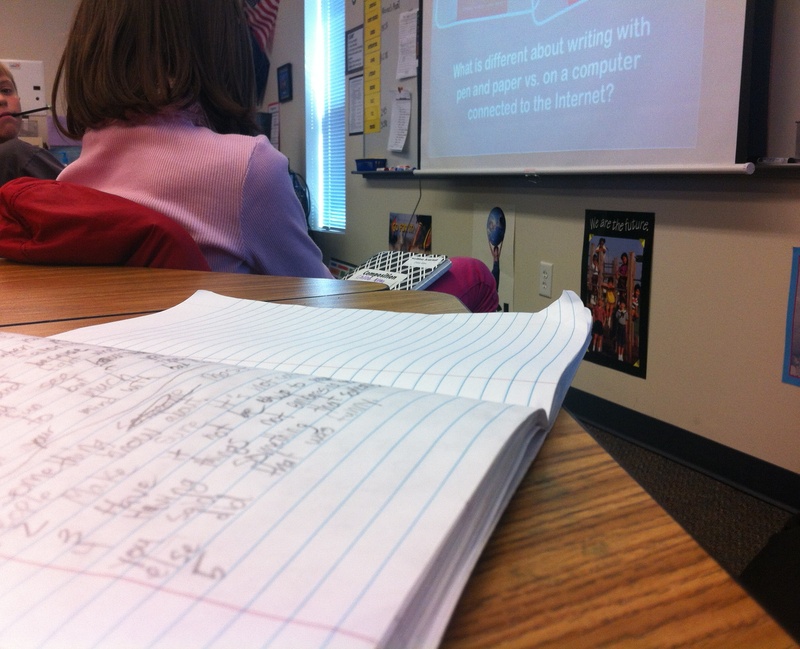 Students taking notes while discussing a question about writing online. Not only did students talk and write about aspects I expected, including issues of privacy and that we need to consider the future ramifications of what we say online, but they also demonstrated some sophisticated understanding of the ways audience and the networked screen are different in important ways. One young person raised privacy as his #1 concern, but also brought up that as an author, you may want to think about the potential meanings someone may derive from it, in his words: “#2 What they might think.” In my words, being a reflexive writer and hospitable reader. Several other students also talked about how there are so many messages online, that we may need to work to find ways to get your messages read by your audience, including using multimedia and multiple approaches to express yourself. Another young man raised the issue of potential audience, and the reality that once released into the world wide web, a message’s distribution takes on a life of its own. Because of this, another young person (whose list was too blurry to include here) wrote that we may consider always including with our online messages a note regarding what we’d like people to do with our media. (Had I more time, I would have next shared with him about Creative Commons.) Many of the young people showed this awareness that our messages can and often are forwarded, retweeted, remixed and shared with others in new ways. Say true things. Trust the people you send things to. This last point has taken on new meaning for me since I talked to these young people years ago. These young people were talking about the importance of not perpetuating lies about other people as a form of bullying or harassment. Now, it has taken on a new dimension. We have seen the capacities of new media used to package false messages as “news” and bots used to spread fake news. Further, there has been an ethical muddying of bias vs lies vs “alternative” facts. At the heart of it though, they had it right years ago. The potential influence of a false messages is amplified via new media. 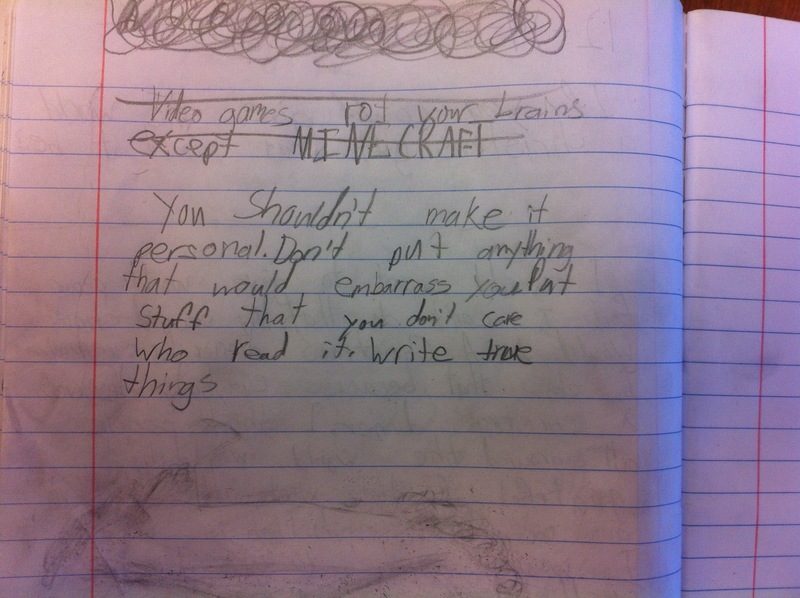 It’s a lesson from these fifth graders that we could all heed.